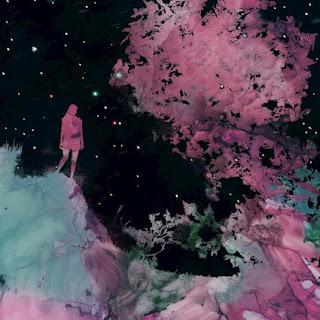 Unreqvited are a band from Canada that plays a mixture of depressive black metal, post rock, and experimental and this is a review of their 2018 album "Mosaic I: I' amour et I' ardeur" which will be released in November by Northern Silence. Water sounds start off the album along with some atmospheric and nature orientated soundscapes a few seconds later while ambient style synths are also a very huge part of the recording as well as most of the tracks being very long and epic in length and the music also gets very experimental at times. A great amount of post rock elements can also be heard quite a bit throughout the recording while the solos and leads are done in a very melodic style along with a great amount of heavy riffs being used throughout the recording as well as the music also being very heavily influenced by shoegaze, depressive black metal screams are also added into some parts of the music and when acoustic guitars are utilized they give the tracks more of a progressive feeling and most of the tracks are instrumentals. Unreqvited plays a musical style that takes depressive black metal, post rock, shoegaze and experimental and mixes them together to create something original and the production sounds very professional. In my opinion Unreqvited are a very great sounding mixture of depressive black metal, post rock, shoegaze and experimental and if you are a fan of those musical genres, you should check out this band. RECOMMENDED TRACKS INCLUDE "Dreamscape" and "Balance". 8 out of 10.